Virginia suffered a setback in the latest round of federal stimulus grants for high-speed passenger-rail projects. The state sought $1.8 billion but got just $75 million for its top rail initiative. An additional $2.5 billion will be available from the federal government this year for high-speed rail projects, Drake said: "We're going to be applying for it.'' And Congress also is considering providing $1 billion a year for five years for rail work. Railroads loom large in the state's transportation future as Virginia runs out of capacity on its roads. The Northern Virginia metro area is the fifth most-congested region in the nation, and Interstates 95, 64 and 81 have become the state's intercity Main Streets, with traffic jams to match. From 1987 to 2007, Virginia's population increased by 30 percent, while the number of miles traveled on the state's roads grew by 50 percent, according to the state's long-range transportation plan. Meanwhile better passenger-rail service could help relieve highway congestion while helping the economy by encouraging tourism, supporting jobs and promoting local investment, rail proponents say. Virginia has two passenger railroads, Amtrak and Virginia Railway Express. Last year, just more than 1 million Virginia travelers took Amtrak, which operates more than 20 trains daily in the state, including seven long-distance trains and the regional service to Richmond and Newport News. 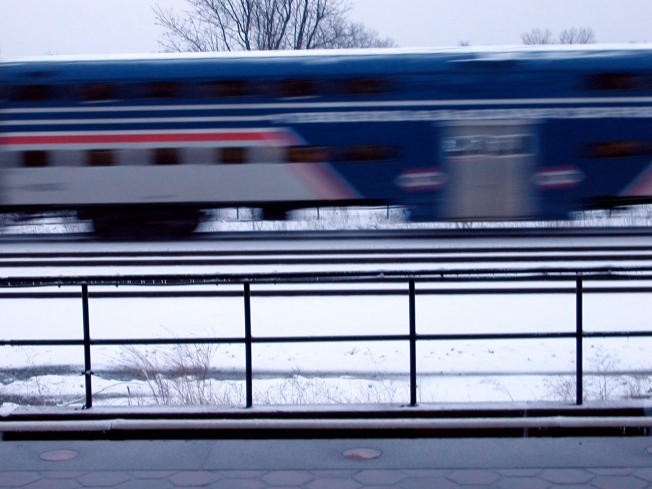 More than 3.8 million passengers rode VRE from either Fredericksburg or Manassas to Washington during 2009. In the past year, Virginia invested in Amtrak service for the first time in its history. The state's three-year pilot program will pay to run two new trains: a Lynchburg-to-Washington service and a Richmond-to-Washington train. Both trains connect with the Northeast Corridor. However Virginia does not yet have money nailed down to operate that rail line after the pilot program ends in three years.